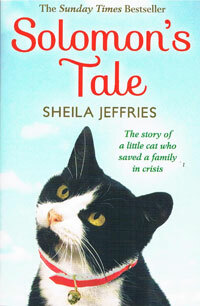 This is the third book in the Solomon saga, and its the heart-rending story of the two black kittens who were abandoned in the hedge. 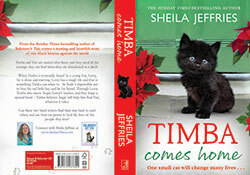 I think you will fall in love with TIMBA who is such a courageous cat, big, jet black, and fluffy, and almost human. 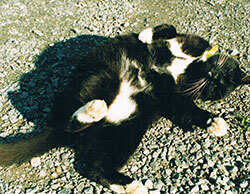 His brother, Vati, is quite different, a charismatic little cat, elegant and mystical. The two kittens are named after the White Lions of Timbavati (Google it !) It's a harrowing but inspiring story, earthy. funny, sad, and spiritual. I loved writing it and hope you will enjoy it. 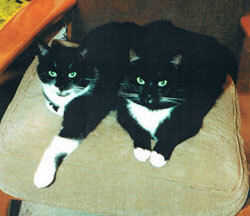 A wise cat reincarnates to help a family go through a crisis of homelessness and divorce. The story has strong emotion, plenty of action and humour, and a spiritual aspect. A cross-over book, appealing to both children and adults, SOLOMON'S TALE is my best book yet. Written from the heart, it is a readable story with strong emotion, humour, gritty relationship stuff, and, for the first time, I have woven an irresistible golden thread of spirituality into a fiction book. Reincarnation, angels, and how the soul survives death. 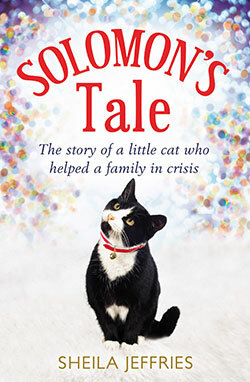 Big issues, yes, but this story is simply told, by a beautiful cat who can see angels and who has chosen to reincarnate to help a family go through the traumas of separation and poverty. 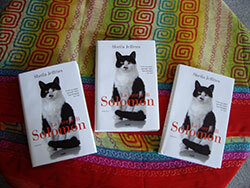 Solomon's Tale began life as an indie, published by Matador. We sold most of those first editions at the book launch in my home town. I intended it to be a cross-over book, appealing to both adults and children; for me, the highlight of the launch was seeing a nine year old take her copy of Solomon's Tale and curl up in a corner, reading it, completely absorbed and oblivious to the party atmosphere around her. I was delighted with the positive feedback and reviews in the local press, and on Amazon and Twitter. The moving story of this little black cat who came to heal had touched people's hearts. 'I couldn't put it down,' and 'I cried and cried, in fact I sobbed,' and 'A deep book with a light touch.' were some of the comments. Everything went quiet. I headed home, crossed my fingers and got on with writing the next book. In November, I had a phone call from Judith Murdoch, saying that Solomon's Tale had been bought by Harper Collins for their Avon Books imprint. She had also sold translation rights to Germany and France. I was dancing round the kitchen! I'm delighted to say that my books are now published by Simon and Schuster, great publishers both in UK and USA. 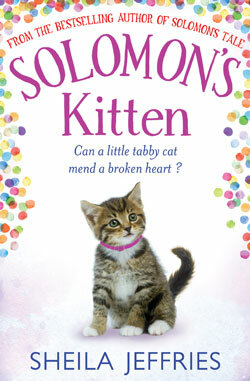 SOLOMON’S KITTEN, published in November 2014 is already climbing into the charts, and thank you so much for the warm praise and kind reviews. It’s much appreciated, and I will try to do the same for you, especially if you are a writer. If I like a book, I review it on amazon or send a tweet. I know how much it means. Follow me on twitter @sheilajeffries1.